“Stones” is one of the most endearing vgm songs ever composed – in fact, it was memorable enough to have its own fansite, which contains many versions of the song. The original version was written for Ultima VI: The False Prophet (1990) by David Watson (Ultima VII, Stonekeep). (David is represented by the character “Iolo” in the game.) As a rarity for vgm, this piece also contains lyrics penned by Watson’s wife, Kathleen Jones (“Gwenno”), though they are not sung in any of the official versions. 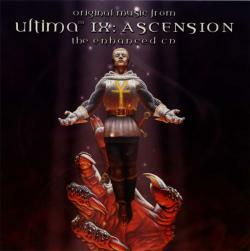 This rendition is from Ultima IX: Ascension (1999), the series’ ill-fated swan song and was composed by George Oldziey (Wing Commander 4, Red Faction: Guerilla). I can’t say which version out of all the fan mixes is best, but I happen to like this official version the most. “Stones” is a medieval elegy or lay, played on flute, harp, and strings. It has a deep sense of nostalgia but also loss and sadness for beauty and the past. These are reflected in the lyrics, which ask and mourn for the builders of mysterious Stonehenge-like structures that stand on the plains of Wiltshire, though these lyrics are unnecessary to communicate the song’s sadness. The recording of this piece is pretty high quality as you can hear the breath of the flutists before they play. Reportedly, it was performed by a 50-piece orchestra. Ultima is one of the most famous and groundbreaking RPG series ever produced. However, because it was a computer RPG, many console fans have never been exposed to it despite its profound influence on the genre. Some of the other tracks on this album have a great medieval feel, and some are reminiscent of music for Christmas time, particularly “Britain Positive”, due mainly to the instrument selection. “Valoria Ships” is another of my favorites from this album. That we might stand on the wide plains of Wiltshire Read the rest of this entry ?